This morning, I awoke to a queasy tummy. That is really odd, so I looked up the side effects for the med that was added to this cycle, Omnitrope, and sure enough, it causes nausea, tummy aches, headaches, elevated heart rates and in more serious cases, hearing problems, severe stomach pain, muscle and joint pain, numbness in hands, swollen breasts and vomiting ! I was like WHAT THE WHAT????? All of THOSE side effects from a medication to help increase egg quality and maturation? WOW ! 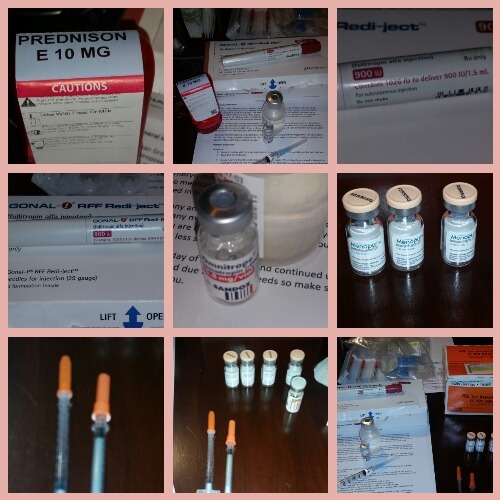 Tonight, mixing the meds and doing the injections went fairly quickly. I have become a pro. I am just really grateful that I am not getting the Lupron headaches. (knock on wood) The Omnitrope made my skin itch for a few minutes after I injected it. It stopped after a few minutes and I kept an eye on the injection site to make sure I had no hives or swelling and all was good. Tonight, it did not itch. I do not have a monitoring appointment again until Friday morning !! I am happy about that. My mom starts her second round of chemotherapy tomorrow. Taxil, which is a much harsher chemo regimen, takes about four hours to administer, unlike the last regimen which was only 1.5 hours. I am going to take my laptop and work on my book while I sit with her. At least this regimen is only every 2 weeks and only 4 treatments !! My sister and I are planning a surprise for her on Sunday and now we are hoping that she will not be too sick to do anything. Her white blood cell count is very low. In other news: I am on an IVF Sock Buddy board on Facebook. It is a group of women who are undergoing IVF treatment and we buddy up and send our “sock buddy” fluffy socks to wear at egg retrieval and transfer and other little gifts. I actually ended up with two sock buddies. One is from Montreal Canada and the other is from North Carolina, about 45 mins North of where I grew up. My sock buddy from Canada sent me a package that arrived today and it is adorable. 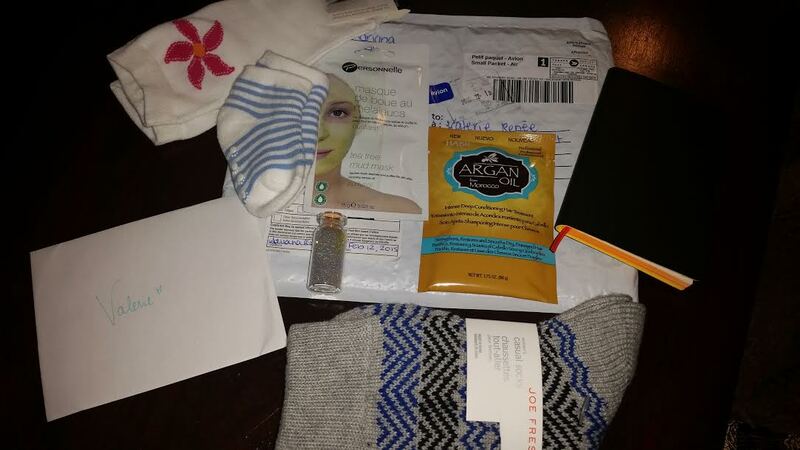 I got a couple of pair of socks for me, one for baby (she is going to jinx me with the white and blue socks LOL #iwantgirls), a bottle of baby dust, a gratefulness journal to write down 5 things per day that I am grateful for, a facial mud mask and a hair treatment. I am going to do the facial mud mask tonight !! 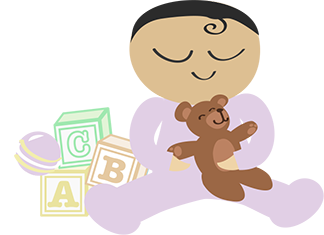 This entry was posted in Infertility, IVF, Single Mother By Choice and tagged IVF, Single Black Woman, Single Mother By Choice, Sock Buddy, Stimming. Bookmark the permalink. I like the Buddy idea! I wish you all the best with this new cocktail of meds. Wishing you all the very best! Thinking of your mom as well as she deals with Taxol a.k.a. the red devil. The buddy idea is awesome! Wish I would have known about it last year! I’ll be thinking of you and hoping you have a successful cycle. Girls can wear those socks with a sailor outfit! So lovely for you to have that buddy group. I will be thinking of and saying prayers for you Mom. Four treatments of four hours each is still a lot to go through after all she has endured already. I am glad you and your sister are planning and that you will be there with and for her. All my best to your Mom in the coming two months. I hope she does not feel too terrible.